Interested in carrying our books & patterns? Join our industry list! We offer an excellent line of popular and high-quality products, and provide great pattern support. If you own or work at a knit shop, we would be happy to provide free e-copies - simply email us at tincanknits@gmail.com, and tell us about your shop! in the USA ::: Our single print patterns and print books are distributed by Deep South Fibres. Click to shop our wholesale line now. 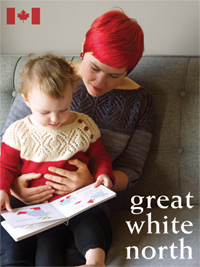 in Canada ::: Our print books are distributed by Julie Asselin in Canada. contact Julie Asselin to set up an account. 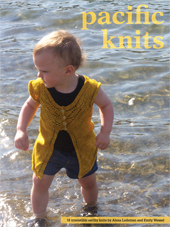 in the UK and Europe ::: UK and European shops may order wholesale books and patterns from Ysolda (ships from Edinburgh), or from Deep South Fibers (ships from USA). PDF wholesale ::: All of our PDF single patterns are available for you to sell directly via the Ravelry In-Store Pattern Sales system. The Simple Collection is Tin Can Knits gift back to the knitting community and our excellent retailers - thanks for supporting us! 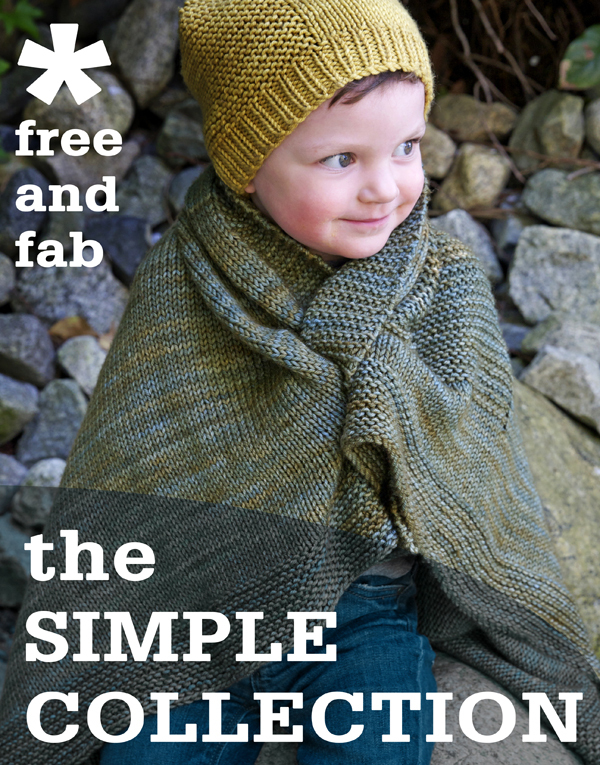 These 13 free patterns are perfect for use in knitting classes, and are accompanied by extensive tutorials to make your life easy! All the patterns are sized from baby to big, and the designs have been extensively tested and professionally tech edited for clarity and usability. Check it out, and schedule some classes now! There's a scarf, blanket, hat, cowl, mitts, socks, pullover and a cardigan, all knit in beautiful hand-dyes from Madelinetosh, Plucky Knitter, SweetGeorgia, Tanis Fibre Arts, and Sweet Fiber! Free Use - We encourage shops to use these patterns for classes - there is no need to contact us for permission! You are also welcome to scrape pattern images from our website and blog to use when advertising the classes and your products! If you run classes using the patterns, we would love to hear feedback about how it went, so drop us a line!